We’ve spoken about camera replacement apps for iOS before, but today we bring you the ultimate replacement app for your inner troll. Meet Memefier, a facial recognition based camera app for iOS that adds memes to your photos in real-time. 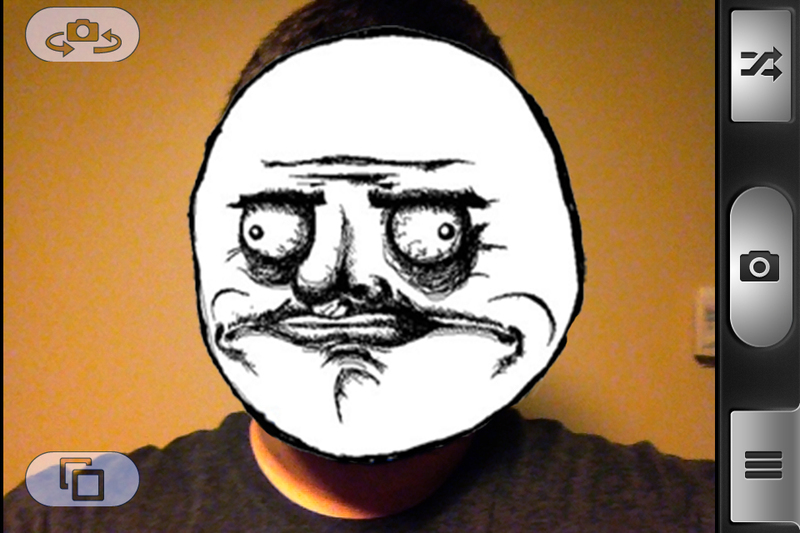 By default, the app chooses from a pool of random memes to place on people’s faces, however you’re also given the option to set custom rage faces for the app to select. Once you’ve shot your photos, the app has built-in sharing to Twitter, Email, or Facebook. Of course photos are also saved to your camera roll so you can do whatever your heart desires to them. To my surprise the facial recognition present in this app works amazingly well. With little to no delay when displaying a rage face on your victim, I was amazed to see how well the iPhone 4s processed visuals in real-time. Trolling your friends has never been simpler with Memfier. The app is free in the App Store for a limited time, so grab it while it’s hot! Next articleTech Theory Live 004: Windows RT 4G LTE… What?